The canvas was written in 1783, today it is located in the State Russian Museum in St. Petersburg. Levitsky was distinguished by a special approach to the drawing of female silhouettes. He correctly emphasized their tenderness and grace, which later became its characteristic feature. When working with portraits, the artist always remained objective, in order to convey the real characteristics of the model to the image. In this case, we are talking about a certain sadness and a share of fatigue, which is read in Vorontsova’s look and smile. Levitsky’s father at one time became a mentor for the artist, investing his son’s love of art and helping him to acquire his characteristics as a creator. The members of the Vorontsov family were well acquainted with the artist. He often painted portraits of spouses and their daughters. Ekaterina Vorontsova, the heir of Admiral Senyavin, sits on the canvas. She was the wife of Count Sergei, who was the Russian envoy to Italy. 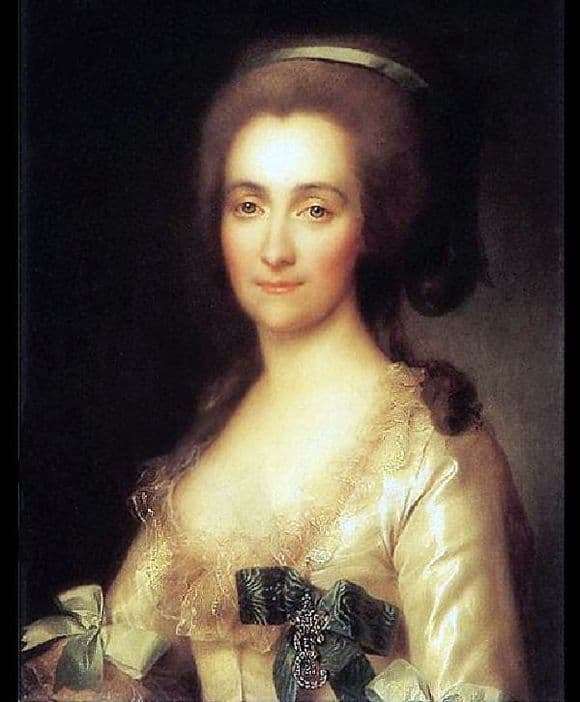 Their happy marriage did not last long: at the end of the 1780s, the Countess died in Italy, leaving her beloved husband with two children, son Michael and daughter Katya. In the portrait itself, she is depicted with Catherine the Freilin code along the ribbon. She is presented in a golden dress with a deep cleavage, which is typical for noble women of that time, lush hair pulled back. The artist played with the light, placing it mainly on the silhouette of Vorontsova, leaving behind dark areas of the background. Thus, the creator sought the effect of the greatness of the individual, focusing the viewer’s attention on her person. Levitsky paid special attention to it alongside, excluding decorations from there. As contemporaries wrote, Catherine was angular and constrained, which the artist skillfully conveyed. An embarrassment is read in the eye, but at the same time an understanding of its feminine beauty.